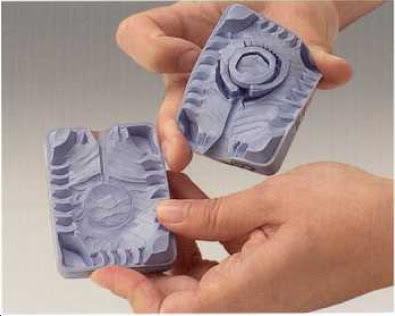 Leon Harris from Pennsylvania Precision Cast Parts has written this article on lost wax casting for all of us. Thank you, Leon! If you’ve been engaged in basic jewelry-making for a while, then you are no doubt familiar with such techniques as stringing beads, creating chains, and so on. Simple jewelry-making can be done by almost anyone with just a couple of tools (pliers, tin-snips) and a little creativity. If you’re a bit more hard-core, you might even be firing your own glass beads. But if you’re starting to get bored with the basics, it may be time to move on to something a bit more complex where your hobby is concerned. If you’re looking to take your craft to the next level, you might want to learn how to cast metal as a way to create professional pieces like the ones you see in stores and online. You will have to invest more time and money into the process, but it may not be nearly as difficult as you think. 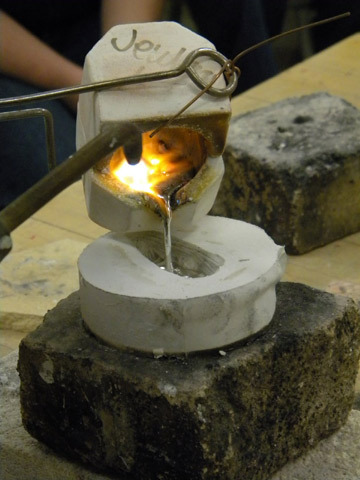 Here is the simple step-by-step process behind casting metal jewelry. 1. Start with a model. You can either opt to copy a piece that you already have or you can go independent and create your own model. If you choose the latter, you will need to start by forming a wax model of the piece you’re making. It can be as simple or as complex as you like, although you will probably have to experiment a bit before you get a good handle on what will work in terms of size and intricacy. You might also have to get creative with your modeling materials. Wax is standard, but finding the right balance of stiffness and malleability could take some time. 2. Set it up for molding. Once your model is complete, you need to prepare it for the mold. You’ll start by attaching it to a wax rod called a sprue, which then attaches to a base. This allows the model to be suspended in the center of the mold once it is poured as a way to ensure that all parts of your model are effectively stamped into the mold. 3. Pour the mold. There are a couple of different molding materials suitable to jewelry casting, but the most common is plaster (which is easy to use and heat resistant). Before you can pour the mold, you will have to secure the base (with model attached) inside a container that leaves plenty of space around the model. From there, you simply pour in the molding medium and allow it to harden. 4. Remove the model. You may now be wondering how you’re going to remove your wax model in order to create the space needed to pour in your metal. You can do this in a couple of ways. 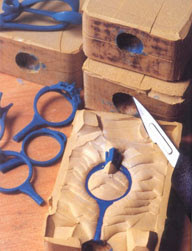 The first requires you to create a small incision or hole in the mold until you reach the wax model. Then you simply put the whole works into an oven or kiln that melts the wax and allows it to drip out, leaving the mold hollow and ready to be filled. 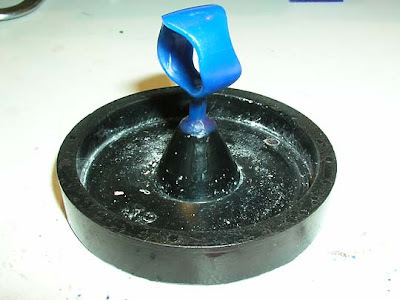 You could also cut the mold in half and remove the wax (again by melting it) so that you have two pieces that can be taken apart and reused for subsequent castings. 5. Pour the metal. Finally, you’re ready to pour your molten metal. You will likely want to heat it with a blow torch since you may not have the facilities to house a forge. Once pouring is complete, you should rapidly cool the mold (and the metal within) in a vat of cold water. 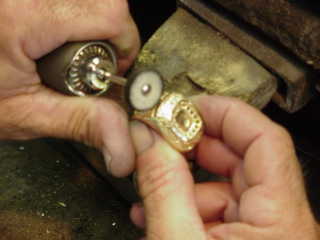 When cooling is assured, you can remove the mold and view your finished piece (although it will still need some finessing before it can be worn). Leon Harris writes for Pennsylvania Precision Cast Parts, a leading medal casting manufacturer specializing in the investment casting process. At PPCP you are sure to find the highest quality products at a rapid turnaround.